With the release of Google Allo earlier this week, Google also released an increadbly powerful feature inside the app. Google Assistant, as the name suggests, aims to give you information, weather and even play games (and tell a joke or two) all within Allo. 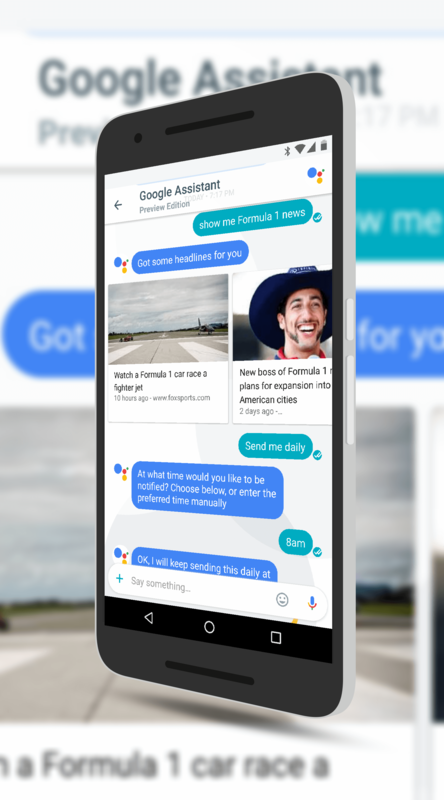 Indeed, with Allo itself still needing some fleshing out, Google Assistant is by far the killer feature of the app and gives us a glimpse as to what we can expect as the company starts rolling this out to other devices like Google Home. One of the great feature of Assistant is the ability to sign up for news, weather and other information in a subscription that is delivered to you daily. It is a great way to stay up-to-date with the latest information on a topic of your choice. In this How To I’ll show you how to subscribe and manage your subscriptions within Assistant. Google Assistant chat bot which you can open up. To start, type in or say “Show me the weather” and you will get an information card that shows you the weather. At this point you should see a quick reply button that says “Send me daily”. Tap that or just say the command. Google Assistant will then ask you what time you want that weather information delivered to Allo on your device. Next, pick a subject that you want news on. In my case, I asked Assistant to show me Formula 1 news. It pulled several articles from the sport which I can then tap on and read. Like weather, I can tell Assistant to send this to me daily at a given time so I get the latest news from the sport I love. There is really a limitless amount of information and news you can see in assistant and subscribe to within Google Assistant. Even if you don’t subscribe, you can just ask it for news or information and it returns it quickly. Now that you have a couple of subscriptions setup in Assistant, you can manage them easily as well. Just type or say “show my subscriptions” and you will see information cards for all of your subscriptions. If you want to change a subscription or cancel it, tap that information card and you’ll see quick responses for various actions like cancel, change the time and so forth. Even if you are not overly excited about Google Allo, I highly recommend downloading it and trying it just for Google Assistant. It is very powerful and can give you daily updates on the things you care about without you having to do a thing. Pretty sweet!